VirtualMerchantServices.com makes it easy to compare virtual merchant rates in a few simple steps. You get the best deal when merchant providers compete for your business. Saving on a virtual merchant account, virtual terminal, payment gateway or on credit card processing has never been easier. We’ve made it a no-brainer to compare merchant service providers and rates, so you know you’re getting the best deal on merchant services for your online store, e-commerce site, or brick and mortar store. What is a virtual merchant? The definition of a virtual merchant is a businessperson that provides goods and services with the flexibility to accept payments anywhere. Here are a few examples. A virtual dealer may have a computer with a virtual terminal, an e-commerce website to accept online payments, use a credit card terminal at their place of business, or use a mobile app to take payments at a trade show. 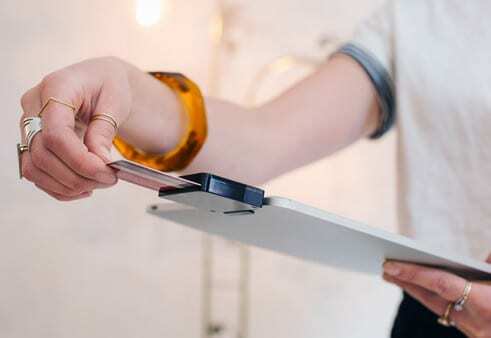 With today’s technology, it’s easier than ever to accept credit card payments. Virtual merchants have many options to receive payments. 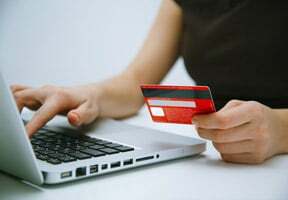 Some of the most popular payment options include a virtual terminal on a computer, mobile phone, tablet or shopping cart. Additionally, you can accept payments by mail or telephone, on mobile devices with an app, or on traditional credit card terminals. The advantage of this type of credit card processing is having all these payment options combine with one merchant account. A merchant account, payment gateway, and virtual terminal converge to deliver the means to accept credit card payments online. The best merchant service providers offer a free virtual terminal, competitive pricing, and a free mobile app for processing payments. At Virtual Merchant Services, our goal is to help you find the right merchant provider, hardware, and pricing that works best for your business. Complete our simple merchant connect form, and you’ll get multiple rate quotes to compare from the top virtual merchant providers in the market. 1. Share a few details about your processing requirements. 2. You’ll receive multiple virtual merchant quotes to compare. 3. Compare rates and pick the best processor for your business. You’ll receive multiple free quotes from local and national credit card processing companies with no obligation to sign up. You win when dealers compete to earn your business! Is there any Setup Fees or Up Front Costs? Is there 24/7/365 Live Customer Support? Is there a Free Online Login Portal with Reporting? Is there Free Hardware Included? Is there a Free Virtual Terminal? Will they Meet or Beat any Pricing Model? Are the Company Online Reviews Positive? A payment gateway is a payment service, like AuthNet Gateway, that is converged with a merchant account to authorize and settle credit card payments for mobile merchants, online businesses, e-commerce, retail stores, service-based businesses, and traditional storefronts. Complete our form to hear from the best vendors offering payment gateway services and the top rated credit card processing for business industries of all sizes. 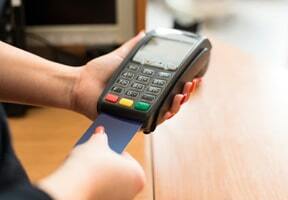 Get the best rates by comparing quotes from multiple credit card processing vendors. Let our merchant providers work for you to find the best merchant services for your business. There’s a lot to consider when selecting a merchant connection account – the application process, setup fees, processing fees, funding times, PCI compliance, and the list goes on and on. Let our experts present you with options, answer all your important questions, and help you find the perfect solutions. You focus on running your business. Do you need a new virtual merchant account, payment gateway or virtual terminal? By completing our simple form, we connect you with some of the best payment gateway providers and online payment providers available for your credit card processing needs. By offering specific payment solutions for your industry, we eliminate the frustrations of shopping within a crowded market with way too many options. After you complete the form, vendors will contact you, provide quotes, and compete for your business. At Virtual Merchant Services, we hold the highest standards for our partners and only work with the top credit card processors in the market. Accept many payment types quickly on any device, including virtual terminals, mobile, and online ordering. Get fast approvals and quick funding. We support all your online business payment methods, including standard credit card processing, gift cards, international, PayPal and ApplePay. Be assured your customer’s data and your business will be protected with industry leading security tools and services to protect against credit card data theft. The application process is quick and easy. Getting approved to accept payments can be done in days, not weeks. So let’s get started today. Fast, reliable, and secure transactions at the most affordable rates available. By completing the form, you’ll get very competitive rates and pricing with our dealer payment gateway services. Need to accept credit cards on your computer? With a free virtual terminal, you can quickly key in credit cards manually no matter where you are. If you have a computer with an internet connection, you can also turn your computer into a point-of-sale terminal with the addition of a credit card reader. 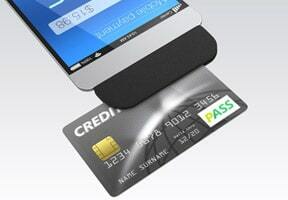 Accept mobile credit cards where ever you go, on any device with a virtual merchant terminal or mobile App. Accept credit cards “on-the-go” with your mobile device, Android, iPhone, iPad, or computer on the web. Use mobile payments to complement your existing payment processing built into your POS or credit card terminal. Plan ahead, have a backup method to accept payments if your primary merchant connecting system goes down. With our free comparison form, you’ll get the advantage of picking the provider that offers the best rates. Coming soon, for those that are looking for an all-in-one POS solution with merchant services, we will be offering Harbortouch POS point of sale software and hardware. So check back for updates to our website! Virtual Merchant Services specializes in finding the best payment solutions for your business. 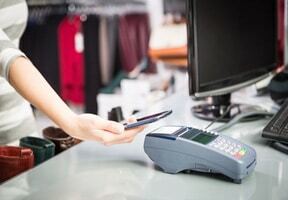 Some businesses may need to accept mobile payments securely on mobile devices using a Mobile Payment App. Mobile processing is changing how customers interact and converge with business owners. Our virtual merchant companies are well versed in new mobile technology including virtual terminals, Apple Pay and EMV (chip and pin). Whether you need to take payments online or mobile; or maybe you just want to save money on your existing credit card processing, we’ve got you covered with our mobile payment services. All you need to accept payments is a smart device with a data plan or a computer with a connection to the internet. Go mobile by completing the form, and you’ll have multiple dealers contact you with rates and quotes. Work smarter, be more efficient and connect with your customers like never before. A virtual terminal turns your computer into a credit card processing device. Just log into your account with your merchant provider and instantly process phone, mail or fax orders online. The top merchant providers all have some form of a virtual terminal. Get a quote for the best rates. Having the ability to accept mobile payments is a necessity for almost any business nowadays. People are carrying less paper money and technology has advanced to the point where people expect the ability use their credit card anywhere they are making purchases. Be prepared. 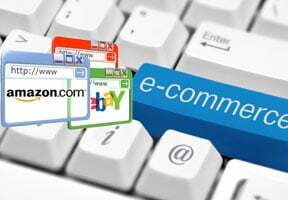 Online businesses need an online payment gateway that is fast, accurate, and secure. Online stores are more popular than ever before, so stay ahead of the eCommerce curve. Our virtual merchant providers work across multiple platforms to accept credit card payments online and create profitable, longer lasting relationships and connect with customers like never before. Find low cost and affordable retail merchant services for a broad range of business types. Retail establishments will need a POS system, credit card machines, and will also generally accept online payments with e-commerce solutions through a payment gateway. For card present transactions, you’re going to need an EMV chip and pin credit card reader. While it’s not mandatory, EMV is the next level of security for protecting your customer’s credit card data. Customers are expecting EMV card data protection from the businesses they shop with to protect against fraudulent charges and identity theft. More and more businesses are beginning to accept Apple Pay. A great convenience for customers, Apple Pay, is an excellent way to accept mobile payments with an iPhone or iWatch. Many of the latest technologies of credit card machines accept Apple Pay with near field communication. Check with your vendor for availability. For a restaurant, at a minimum, you’re going to need a credit card machine to accept payments. Ideally, you’re going to want a POS system that’s best suited for your industry, because they are no one size fits all. Many merchant service providers work with a POS system company to help you find and compare the best POS solution with the features you need most. 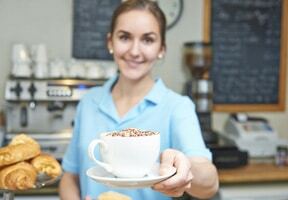 Coffee shops, juice bars, quick service restaurants, and all other small businesses need credit card processing. The key is to find the best merchant provider with affordable rates. We highly recommend working with someone local for support and sign up with a merchant connect company near you that offers Interchange Plus pricing. 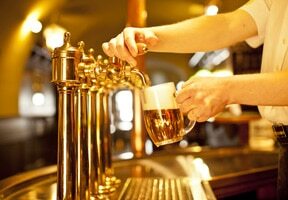 Brewpubs, bars, and nightclubs all have specific needs regarding reporting and closing out credit card sales. 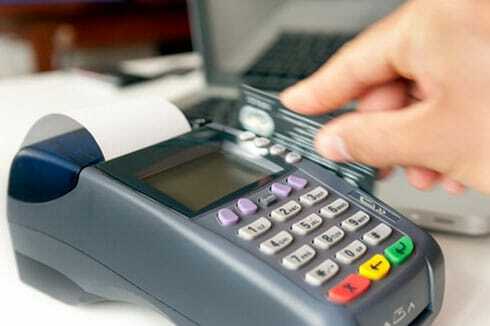 These types of establishments have special requirements for merchant services and pos systems. Many providers on the market specialize in these environments. Check with your merchant provider for more information. With thousands of customers and counting, you cannot go wrong with our free virtual merchant services quote from multiple providers. Compare Virtual Merchant Account Providers Today!